Mandy has practised in family law since 1988, joining chambers in 2005 as a specialist family practitioner. 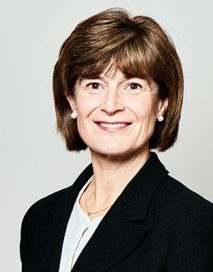 Between 1988 and 2005 she commenced her career at a prominent solicitors firm whereupon she became a partner specialising in all areas of family law. Mandy achieved children's panel accreditation. Mandy accepts instructions from Local Authorities, parents and children’s Guardians in child care work. She appears before courts of all levels however she predominantly these days appears before the County and High Courts. Mandy regularly advises Local Authorities and private clients in relation to procedural and legal issues. Since joining Chambers Mandy is regularly instructed in cases with demanding and difficult clients both in Care and Private Law family cases, including removal from the jurisdiction. Mandy deals with complex cases including factitious illness, sexual abuse and serious non-accidental injuries.